Hotel Esperia, Milazzo. 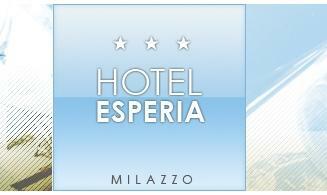 Esperia Hotel Milazzo. Milazzo can be a perfect departure place to visit the treasures that Sicily offers and it is reachable through Messina (distant just 40 km) by all the means of transport. 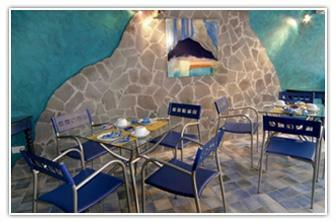 Here the Hotel Esperia, 3 star, will welcome you to spend a stay which mixes relax and entertainment. The beach, the garden, the terraces will the setting for your suntan, while during the evening your entertainment can have place in the city centre few meters far. The dog sitter and a veterinary assistance will be at disposal of the animals that travel with their owners. The Hotel Esperia offers 10 double rooms and 6 apartments which can welcome the single traveller but also a family. Every room has a theme which take inspiration from the Sicilian history and culture. All the accommodations provide the classical hotel services including internet connection and air conditioned.